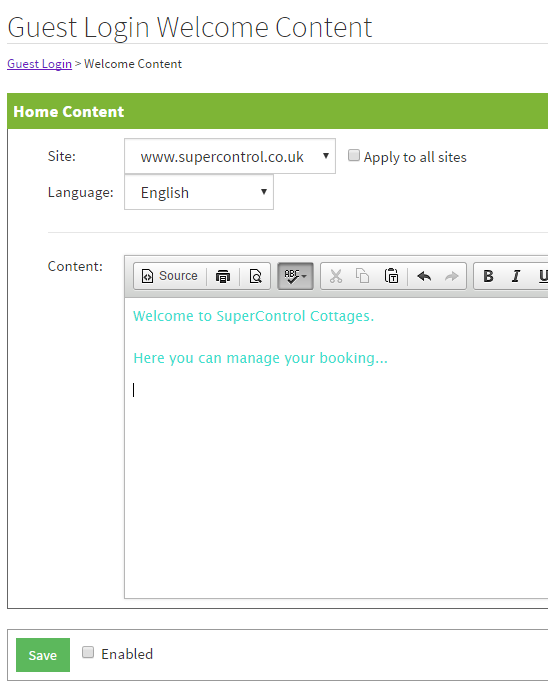 Help CentreUsing SuperControl Using the guest loginHow do I amend the home-screen text in the guest login? 3. Enter the content to be included on the home page of your guest login. 4. Tick "Enabled" to set the welcome text live within the guest login and then Save. Prev: How do I upload a document in the guest login? Next: How do I impersonate the guest login for a particular guest?